The 3003 aluminum sheet: the representative aluminum sheet of the 3003 aluminum sheet is the 3003, 3004, 3A21, which can be called the rust-proof aluminum sheet. The processing technology of the 3003 aluminum sheet is excellent, and the manganese element is the main content, and the content is between 1.0-1.5%, which is a series that has a good rust proof function, and it is usually used in the wet environment, and the price is higher than the 1×××series, which is a commonly used alloy. 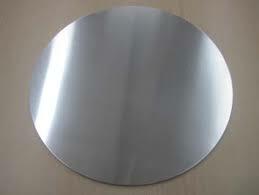 The 3003 aluminum sheet can be applied to the components which need the good forming ability, high corrosion resistance and weld ability, or it is used to the place where the demand for the alloy strength is stronger than the 1XXX such as the kitchen utensils, chemical products and food processing and storage device, the groove or pot that is used for transporting the liquid as well as the pressure vessels and piping. The 3004 aluminum plates is usually used tin cans, which requires higher strength than the than 3003 alloy spare parts, chemical products production and storage facilities, the thin steel plate job, the construction job, building tools, various lamp parts. The 3005 aluminum plates is usually used in the wet conditioners such as the refrigerators, vehicles as well as the building materials, color aluminum. The 3105 aluminum plates is applied to the room dividers, baffles, activity panels, gutters and downspouts. The 3A21 aluminum plates is applied to the airplane gas tank, oil pipe, rivet wire as well as the building materials and food device.